To anyone who is currently struggling: know that you can reach the National Suicide Prevention Lifeline at 1-800-273-8255. “ #Redflag ” #gun #confiscation #laws #violate every #principle of #liberty upon which our country was founded. There is no #dueprocess associated with “red flag” laws. A #judge’s order to #seize the #firearms from an #American citizen who has not been accused of a #crime, charged with a crime, #convicted of a crime—or who never even threatened to commit a crime—based on the accusation of a single individual is anything but due process. Our accuser could be a disgruntled employee, a bitter ex-spouse or relative, a vengeful neighbor, an #anti-gun #liberal or even an anti-gun #policeman. By definition, “red flag” laws use mere suspicion of what one “might” do as justification to seize a person’s #firearms. Tactics such as these have been used in virtually every despotic regime of history. In the name of protecting society, the #rights and #liberties of individuals were denied. Eventually, these repressive governments included #political or #religious persuasion as triggering “red flags,” which led to their #disarmament—all in the name of public safety, of course. #Senator Lindsey #Graham (R-SC) has announced that the #Senate #Judiciary #Committee is scheduled to begin conducting hearings next Tuesday, March 26, on Senate Bill 7, the #Extreme #Risk #Protection #Order and #Violence #Prevention Act of 2019—otherwise known as a national “red flag” gun confiscation bill. The bill was introduced in the Senate by Marco Rubio (R-FL). If this gun #confiscation bill passes the U.S. Senate, it will most certainly pass the #Democrat -controlled U.S. House of Representatives, and President Donald #Trump absolutely WILL sign it into law. Yesterday it was Colorado, today, it's the entire country. sad, stupid morons. Contrary to what you might expect Cuba has an extensive public healthcare system, to which all citizens enjoy equal access. Particularly in the 1980s, Cuba’s healthcare system underwent several reforms and redevelopment. This is one of the reasons why, according to the WHO, Cubans not only have the highest life expectancy in the geographical region, but also place among the top five highest in the world. Indeed, in 2014, the country was praised by Margaret Chan, Director-General of the WHO, as a world leader in the medical sphere, for not only the extent and quality of its care but also for the systems strong link with research and innovation. 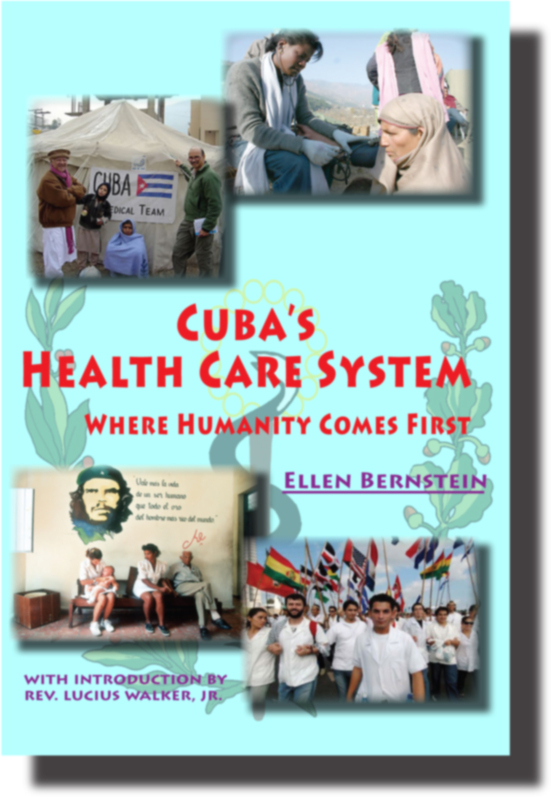 As mentioned above, the public healthcare system in Cuba covers all citizens. Private hospitals, doctor’s practices, and other private medical facilities do not exist. Instead, all health-related facilities and services are run by the government. Universal vaccinations and other universal programs have almost eradicated diseases like polio, rubella, tuberculosis, or chicken pox. Furthermore, the small budget means that Cuba had to invent a unique approach to healthcare. It consists of compulsory health checks in order to put an emphasis on prevention. In fact, preventing a disease, or catching it at an early phase, is less expensive for the public healthcare system. This means that every Cuban has at least one annual health check-up, which often is done at home by local doctors or nurses. For decades, Cuba has been known to have a large staff of well-trained medical specialists at hand. The research sector is strong as well, particularly in the field of biotechnology or epidemiological studies on chronic diseases. An example of their achievements is that Cuba became the first country in the world to receive WHO validation that it successfully eliminated mother-to-child transmission of syphilis and HIV. 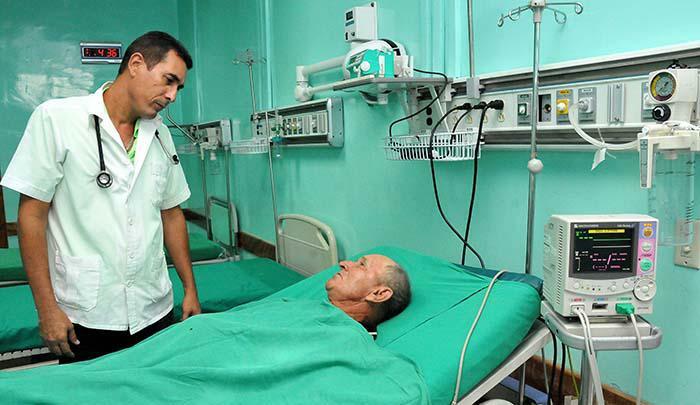 For years, medical tourism has played an important role in the Cuban economy. Brought to the fore in news media by former football star Diego Maradona’s drug rehabilitation in 2000, an ever-increasing amount of foreigners arrive on Cuban soil to take advantage of the medical service, both vital and cosmetic. More than 2.8 million tourists traveled to Cuba in 2012. Although no solid figures can be provided for how many went for medical reasons, there are at least several thousand that did so just for this reason. Not only do many hospitals have special divisions and trained staff to serve the needs of foreign patients, but the government recently created Servimed, alongside CSMC, with the charge of promoting medical services to foreigners. Since 2010, tourists and expats are obligated to secure health insurance which is valid for their stay in Cuba and approved by the Cuban government. However, even if you are covered, you need to keep in mind that medical facilities do not accept checks or credit cards. So make sure to bring enough cash when you visit a hospital or clinic. The fall of the socialist bloc and the tightening of the US embargo in the early 90s put a strain on Cuba’s economy. Its healthcare system threatened to collapse as the budget for medicine and medical equipment shrunk by 70%. However, the health of Cuba’s population remained stable. This is due to the fact that healthcare remained a high priority for the government. Today, the lack of medical equipment still takes a toll on medical care. Particularly the specialized medical fields were harmed in the 1990s, when special equipment and medication was scarce and hard to come by. Although, medical professionals were widely available, they could not make up for the dire condition of Cuba’s healthcare facilities. In 2004, Cuba’s government implemented a national program to renew the country’s 444 polyclinics. They even chose 52 hospitals and tertiary institutes to be remodeled to become “centers of excellence”. The first of these centers were completed in 2006. However, there are more to come, and Cuba still has a long way to go in living up to its reputation of having one of the best healthcare systems. Ever since the Cuban revolution in the 1950s, the country’s education system has fundamentally improved. UNESCO rates Cuba as the best education system in Latin America, despite being one of the less developed countries in the region. However, this is unsurprising, as, alongside the medical sector, the education sector lies at the center of the government ethos and it invests 13% of its GDP there (as of 2014). As is the case with healthcare in Cuba, education is public and free for all citizens and literacy is at 99.8%. Before the big changes the revolution brought, it was particularly the rural population which did not have access to basic education. Today, a large school network provides education in all corners of the Cuban island. Keep in mind that, because educational facilities are usually run by the government, international and private education is extremely scarce. There are very few international schools in Cuba: among them, the International School of Havana and the École Française de La Havana. They are very expensive (the tuition fee is 12,600 USD and 9320 USD for grades 11 and 12, respectively), so if you are unable to send your children to one of these schools, you should consider arranging for Spanish lessons in order to prepare them for the local schools. As for university education, the government is planning to implement education reforms in 2016-2017. Their reforms’ objective is to improve undergraduate studies, which are deemed to take too long. They will be shortened to four years, as in a lot of other countries. The other objective is to test the students for their English language skills before graduating. In fact, a lot of Cuban professionals are not able to speak English fluently. Im Gegensatz zu dem, was man erwarten könnte, verfügt Kuba über ein umfassendes öffentliches Gesundheitssystem, zu dem alle Bürger gleichberechtigten Zugang haben. Insbesondere in den 1980er Jahren wurde das Gesundheitssystem Kubas mehrfach reformiert und saniert. Dies ist einer der Gründe, warum Kubaner laut WHO nicht nur die höchste Lebenserwartung in der geografischen region haben, sondern auch zu den Top fünf der höchsten der Welt gehören. In der Tat wurde das Land 2014 von Margaret Chan, Generaldirektorin der WHO, als weltmarktführerin im medizinischen Bereich, nicht nur für das Ausmaß und die Qualität Ihrer Versorgung, sondern auch für die starke Verbindung der Systeme mit Forschung und innovation gelobt. Wie bereits erwähnt, deckt das öffentliche Gesundheitssystem in Kuba alle Bürger ab. Private Krankenhäuser, Arztpraxen und andere private medizinische Einrichtungen existieren nicht. Stattdessen werden alle gesundheitsbezogenen Einrichtungen und Dienste von der Regierung betrieben. Universelle Impfungen und andere Universelle Programme haben Krankheiten wie polio, Röteln, Tuberkulose oder Windpocken fast ausgerottet. Darüber hinaus bedeutet das geringe budget, dass Kuba einen einzigartigen Ansatz für die Gesundheitsversorgung erfinden musste. Es besteht aus obligatorischen Gesundheitskontrollen, um den Schwerpunkt auf Prävention zu legen. Tatsächlich ist die Vorbeugung oder frühzeitige Behandlung einer Krankheit für das öffentliche Gesundheitssystem kostengünstiger. Dies bedeutet, dass jeder Kubaner mindestens einen jährlichen Gesundheitscheck hat, der oft zu Hause von lokalen ärzten oder Krankenschwestern durchgeführt wird. Seit Jahrzehnten ist Kuba bekannt, ein großes Personal von gut ausgebildeten Fachärzten zur hand zu haben. Auch der forschungssektor ist stark, insbesondere im Bereich der Biotechnologie oder epidemiologischer Studien zu chronischen Krankheiten. Ein Beispiel für Ihre Leistungen ist, dass Kuba das erste Land der Welt wurde, das DIE who-Validierung erhielt, dass es die übertragung von syphilis und HIV von Mutter zu Kind erfolgreich beseitigte. Seit Jahren spielt der Medizintourismus eine wichtige Rolle in der kubanischen Wirtschaft. In den Nachrichtenmedien von Diego Maradonas ehemaligem Fußballstar, der im Jahr 2000 Drogen rehabilitiert hat, kommen immer mehr Ausländer auf kubanischem Boden an, um den medizinischen und kosmetischen Dienst zu nutzen. Mehr als 2,8 Millionen Touristen reisten 2012 nach Kuba. Obwohl es keine soliden zahlen dafür gibt, wie viele aus medizinischen Gründen gegangen sind, gibt es mindestens mehrere tausend, die dies nur aus diesem Grund getan haben. Viele Krankenhäuser verfügen nicht nur über spezielle Abteilungen und geschultes Personal, um den Bedürfnissen ausländischer Patienten zu dienen, sondern die Regierung hat kürzlich Servimed zusammen mit CSMC mit der Aufgabe geschaffen, medizinische Dienstleistungen für Ausländer zu fördern. Seit 2010 sind Touristen und expats verpflichtet, eine Krankenversicherung abzuschließen, die für Ihren Aufenthalt in Kuba gültig und von der kubanischen Regierung genehmigt ist. Aber auch wenn Sie versichert sind, müssen Sie Bedenken, dass medizinische Einrichtungen keine Schecks oder Kreditkarten akzeptieren. So stellen Sie sicher, genug Geld zu bringen, wenn Sie ein Krankenhaus oder eine Klinik besuchen. Der fall des sozialistischen Blocks und die Verschärfung des US-Embargos Anfang der 90er Jahre belasteten Kubas Wirtschaft. Sein Gesundheitssystem drohte zu kollabieren, da das budget für Medizin und medizinische Geräte um 70% schrumpfte. Die Gesundheit der kubanischen Bevölkerung blieb jedoch stabil. Dies ist darauf zurückzuführen, dass die Gesundheitsversorgung weiterhin eine hohe Priorität für die Regierung blieb. Heute ist der Mangel an medizinischen Geräten immer noch eine Maut auf die medizinische Versorgung. Besonders die medizinischen Fachgebiete wurden in den 1990er Jahren geschädigt, als spezielle Geräte und Medikamente knapp und schwer zu bekommen waren. Obwohl medizinische Fachkräfte weit verbreitet waren, konnten Sie den schlimmen Zustand der kubanischen Gesundheitseinrichtungen nicht ausgleichen. Im Jahr 2004 führte Kubas Regierung ein Nationales Programm zur Erneuerung der 444 Polikliniken des Landes durch. Sie wählten sogar 52 Krankenhäuser und tertiäre Institute, die zu “centers of excellence”umgebaut werden sollten. Das erste dieser Zentren wurde 2006 fertiggestellt. Allerdings gibt es noch mehr zu kommen, und Kuba hat noch einen langen Weg in Leben bis zu seinem Ruf, eines der besten Gesundheitssysteme zu gehen. Seit der kubanischen revolution in den 1950er Jahren hat sich das Bildungssystem des Landes grundlegend verbessert. UNESCO bewertet Kuba als das beste Bildungssystem in Lateinamerika, obwohl es eines der weniger entwickelten Länder in der region ist. Dies ist jedoch nicht überraschend, da neben dem medizinischen Sektor der Bildungssektor im Zentrum des regierungsethos steht und dort 13% seines BIP investiert (ab 2014). Wie bei der Gesundheitsversorgung in Kuba ist Bildung für alle Bürger öffentlich und kostenlos und die Alphabetisierung liegt bei 99,8%. Vor den großen Veränderungen, die die revolution mit sich brachte, war es vor allem die ländliche Bevölkerung, die keinen Zugang zur Grundbildung hatte. Heute bietet ein großes Schulnetzwerk Bildung in allen Ecken der kubanischen Insel. Denken Sie daran, dass, weil Bildungseinrichtungen sind in der Regel von der Regierung laufen, internationale und private Bildung ist extrem knapp. Es gibt nur sehr wenige internationale Schulen in Kuba: darunter die International School of Havana und die École Française de la Havana. Wenn Sie also nicht in der Lage sind, Ihre Kinder an eine dieser Schulen zu schicken, sollten Sie erwägen, Spanischunterricht zu organisieren, um Sie auf die lokalen Schulen vorzubereiten. Was die Hochschulbildung betrifft, plant die Regierung, Bildungsreformen in 2016-2017 umzusetzen. Ihre Reformen Zielen darauf ab, das Grundstudium zu verbessern, was als zu lang angesehen wird. Sie werden wie in vielen anderen Ländern auf vier Jahre verkürzt. Das andere Ziel ist es, die Schüler für Ihre Englischkenntnisse vor dem Abschluss zu testen. In der Tat sind viele kubanische Profis nicht in der Lage, fließend Englisch zu sprechen. Wir tun unser bestes, um diesen Artikel auf dem Laufenden zu halten. Wir können jedoch nicht garantieren, dass die bereitgestellten Informationen immer aktuell oder vollständig sind.